I really like credit cards. Every card in my wallet has purposes based upon rewards, limits, and due dates. The dollar bills in my wallet are probably the same bills I’ve had in there for weeks because I use cards for everything. Controlling expenditures and making certain my family is covered when life events pop up make credit cards an important tool in my fiscal planning. The reason I don’t run into trouble with credit cards is that I never buy anything I couldn’t comfortably buy with money in the bank and I always pay in full before the statement is released. In the last decade, I could probably count on two hands (maybe one) the number of times I paid interest on a credit card balance. This is how credit cards are supposed to be used, in my humble opinion. Where millions of Americans get into trouble from time to time is when they overextend themselves with their credit cards. Some look at their available credit as available cash to spend. Others calculate their monthly bills based upon the minimum payments on their cards and can’t wait until they pay the balances down to a point where they can spend on them again. Many lack disciple. Others lack knowledge. This is why otherwise responsible people around the country end up filing bankruptcy or some other form of debt relief. Americans who are in trouble with credit card debt are each microcosms of the fiscal status of the United States federal government. Washington DC has been paying off credit cards with other credit cards, transferring balances when it doesn’t make sense, and manufacturing more credit cards because their old ones are maxed out. The interest alone on our $20 trillion debt is more than many countries’ GDPs. This is untenable and unsustainable. When an individual gets into major credit trouble, the first thing they should do is stop spending on anything that’s not absolutely necessary. While I’m not a proponent of literally cutting up credit cards, it’s important for those with debt issues to pretend like there’s no money that can be spent on anything other than essentials while they do everything they can to pay down their balances. We’re well past the time for the U.S. government to take the same approach. They need to tighten the belt in a big way and take the necessary actions to embrace fiscal responsibility for the first time in decades. There’s a challenge with this. One of the reasons not mentioned above that some people get into deep credit card debt is addiction. There are those who are simply addicted to spending, shopping, buying, whatever. Even when they know they’re drowning in debt, they continue to make it harder to swim by continuing to spend. This is the problem with both major parties right now. They have this belief that if they go down the fiscally responsible route and start slashing the budget, they’re going to lose elections as a result. They feel they need to essentially buy votes by continuing to fund programs that are unnecessary. They believe they’ll gain votes by spending more of our tax dollars on departments, agencies, programs, and subsidies that get people pumped up because they’re the direct benefactors. A cruel but accurate way of presenting the current mentality of most DC politicians is that they think we’re all too stupid to understand the mess they’re building and we’re so simple that if they give us things, we’ll vote for them. Ted Cruz demonstrated that this isn’t necessarily the case when he won the Iowa Republican Caucus. Most pundits thought he was dead in the water when he said he intended to pull the ethanol subsidies that helped many farmers in Iowa. Donald Trump and just about every other candidate doubled down on keeping the funds flowing in abundance, but Cruz said no. What did everyone other than Cruz get wrong about Iowa? They all thought the only way to get votes was to buy them. Iowans demonstrated that many Americans aren’t as simple-minded as politicians often think. Unfortunately, that lesson will be marked down as an anomaly by the two major parties. The Democrats will push even further to the left in an effort to bring real socialism and even communist principles of government control over everything. The Republicans will continue to redefine “conservatism” by telling us it’s okay to spend more as long as the expenditures are justified. Of course, justification is easy for the GOP to manufacturer on pretty much any topic. That’s why they don’t have to blink when they attempt to replace Obamacare with Trumpcare. It’s why they can proudly accept Chuck Schumer’s and Donald Trump’s trillion-dollar infrastructure dreams. It’s why they scream loudly when they cut some budget from the EPA while hiding the asterisk in small print at the bottom that admits the money “saved” is simply being redirected to fund other programs. 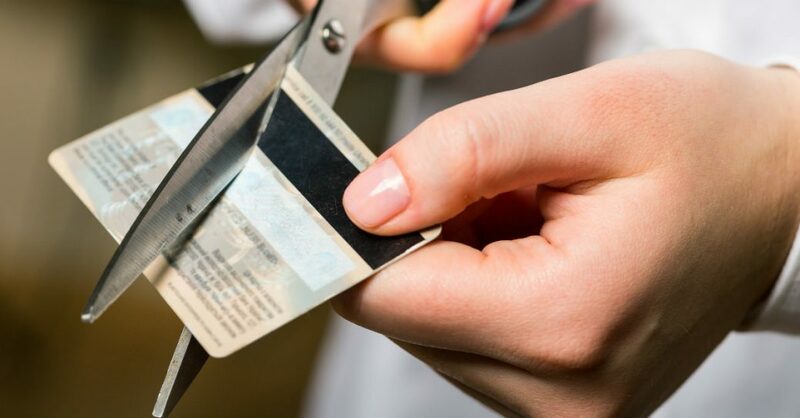 I don’t recommend for individuals with credit card debt to literally cut up their credit cards because the scale is usually manageable and bankruptcy is an option when the scale is too large. However, I definitely recommend cutting up as many of the U.S. government’s credit cards as possible. They have too many and have demonstrated a complete inability to control themselves. It’s an addiction. They’re beyond the ability to even make the minimum payments which is why we’ve needed “stimulus” packages for the last two Presidents and we may see another one from the current President in the not-too-distant future. A wise man once said something about the foolishness of pouring new wine into old wineskins. After all, this country is a living example that once paradigms embrace corruption, independence from the corruption must be declared, whether it is the Pilgrims fleeing corruption on the Mayflower or the Founding Fathers loading their muskets to stand up to it. Therefore, as students of history, if we’re going to spend years changing the paradigm, choose the strategy history says has the best chance of success — something new. Besides, wasn’t the Republican Party itself originally founded by those who fled the corruption within its predecessor, the Whig Party? This is the rationale behind the effort to launch the Federalist Party. With the GOP in full control in DC, one of two things needs to happen. Either they get their act together and start reining in the power, bureaucracy, and out-of-control budgets that have been growing incessantly for decades or they need to admit they’re no longer a party that embraces smaller government. Unless things turn around very quickly, the latter is the only viable possibility. We know they won’t admit it, but the real question is whether or not conservatives are going to call them out on it or continue to fall for the same tired sales pitch. Class Warfare - Short Sales, Herbalife and Billionaire JusticeHow Globalists Profit by Victimizing You!